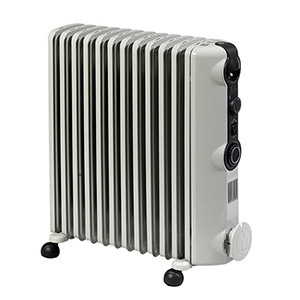 Keep warm with one of our recommended electric heaters. Electric heaters are expensive to run and aren’t powerful enough to keep living areas warm, but their low purchase price means they’re often the best value for money in small spaces like the bedroom or study. The heaters we've tested vary widely in price and represent just about every type available — including oil-column, panel, micathermic and ceramic. Snapshot: The modern aesthetic of the Nouveau 2000W Glass Panel heater will be for nought if it can't provide the heat. 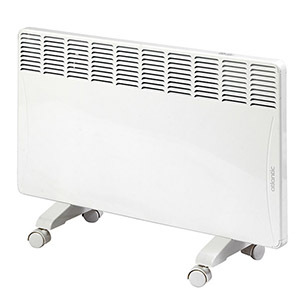 Snapshot: The Dimplex 402BT convection heater has a timer but no fan. How well does it heat a room? Snapshot: The Dimplex 402TSFTi convection heater has a timer and a fan. How well does it heat a room? 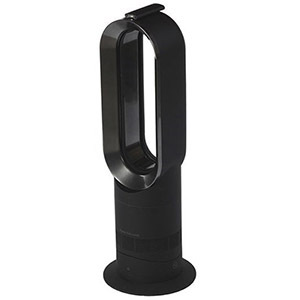 Snapshot: Is this dark horse oscillating tower heater a good option for the home office or small living area? Snapshot: The Stadler Form Anna looks like a small home theatre speaker. But is it louder than average for a tower heater? Snapshot: This unobtrusive panel heater can be wall-mounted. 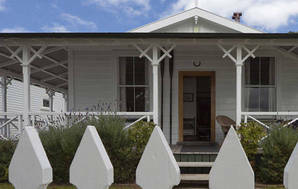 Is its performance much to write home about? 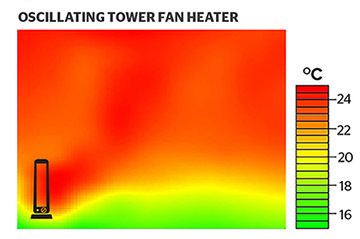 Snapshot: Most tower heaters warm up quickly but make a bit of a racket. Is the Delonghi Ceramic TCH7092ER an exception? Snapshot: Is this compact fan heater a versatile performer? 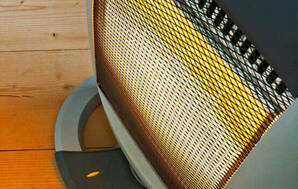 Snapshot: Can the performance of this Noirot panel heater match its hefty price tag? Snapshot: DeLonghi is a stalwart of the heating aisle, but have they delivered with this high-end oil-column? 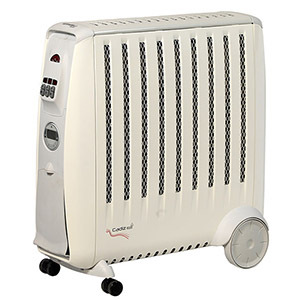 Snapshot: The Goldair GCT250 is one of the most affordable tower heaters in our database. But does it compromise on performance? Snapshot: Is this Goldair tower heater a safe and stable option? Snapshot: Goldair's GCV330 is a convection heater with a boost fan, so it should return good performance. But does it have the requisite safety features? These tall, pivoting heaters have a radiant element and usually a fan. Note: we test large fan heaters designed to warm an entire room. Small fan heaters that sit close to the floor can be a good option for personal heating (for example, if you’re in the only one in the study and just want direct heat). Good for: Quickly heating an office or rumpus room. Fast, even heating thanks to fan, large element and oscillation. Usually have a good range of controls including multiple heat settings, timers and eco modes for low-level background heating. Top models include cooling fans. Radiant element can be unsafe in bedrooms and around children (though most now use ceramic elements that are less of a fire risk than glowing radiant elements). Fans can be noisy, which makes them unsuitable for bedrooms. Similar shape to an oil column heater but thinner. Uses sheets of mica (a mineral similar to slate) encased in a metal housing, which heat up quickly. Reasonably fast heating, though not quite as even as heaters with a fan. Similar effect to an oil-column heater, but with a toasty radiant heating effect in addition to the purely ambient background heat produced by an oil-column model. Heats up quicker than oil-column heaters. Lighter and more portable than an oil-column. Most models heat from all sides so can’t be placed near walls or furniture. Exterior surfaces get very hot, so they can be hazardous around young children. Sometimes the mica creaks as the heater warms up. These heaters draw cold air over an electric heating element. The warmed air then leaves the heater and rises towards the ceiling, while cooler air moves in to replace it. Often have a fan-assist option. Good for: Spaces where you want an unobtrusive heater that can run quietly, like bedrooms or hallways. Can be wall-mounted, so they don’t take up much space. When the fan is on, they can give reasonably quick and even heating for smaller living areas. Quiet operation and covered heating element make them good for bedrooms. Can be expensive, particularly flat-panel models. Heating isn’t as fast or even as an oscillating tower model. These models heat oil sealed inside their columns/fins. Heat from the oil is then transferred to the casing, and released into the air. Good for: Areas where safety and silent heating are priorities, like kids’ bedrooms. Provide ambient heating without their surfaces getting too hot, making them relatively safe to leave on unattended or in a bedroom while you’re sleeping. They’re heavy, which makes them awkward to move. Rely on natural convection so give uneven heating (unless you use a fan to help the heat circulate). 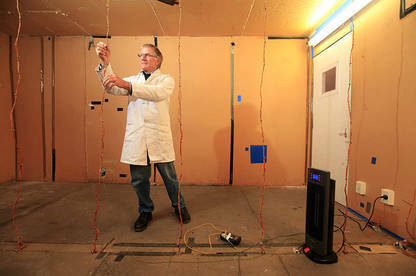 We test heaters in a temperature-controlled room inside another temperature-controlled room. This means we can evaluate each model against a constant outside temperature. Eighty-one thermocouple sensors are strung up throughout the inner room (17m² with a 2.4m ceiling) to measure how quickly and evenly heat is distributed. We start the room off at 8°C then set each heater on full power with its fan going (if it has one) and measure how long it takes to heat the room to an average temperature of 13°C, then to 18°C, then look at the final temperature after two hours. This gives us one part of our performance score (the heat up score). However, many heaters which raised the temperature rapidly didn’t heat evenly, so our performance score includes an evenness component looking at the temperature variation around the room. We also measure how well their thermostat maintains a constant room temperature. 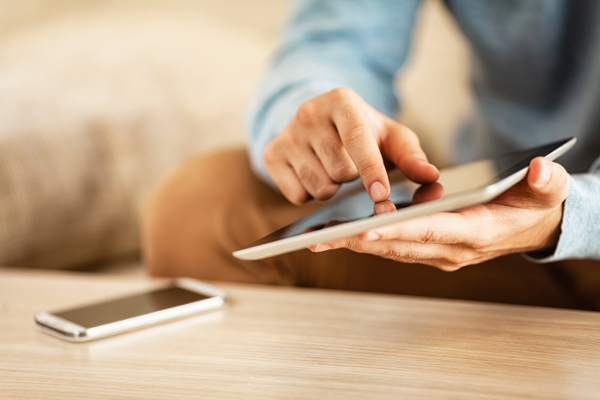 Our ease of use assessment looks at controls (are they easy to read, understand and use? ), mobility, ease of cleaning, and whether a heater has cord storage. We also test heaters to the Australian and New Zealand standards for appliance safety, which involves measuring the surface temperatures to ensure they don’t get dangerously hot, as well as the integrity and anchorage of their power cords, before running some our own safety tests. We turn heaters up to full temperature on full power and drape a towel over each for 30 minutes. The heaters should either shut down after a few minutes or continue to heat without damaging the heater or towel. Some plastic parts distorted during this test, but no heaters failed. Finally, we lay each heater on its side with its power on. All models with a tilt switch turned off immediately. We think a tilt switch is essential for any heater with an exposed radiant element. Other convector and panel heaters in our database that lack a tilt switch all turned off after a few minutes when their overheat protection tripped. Our test results show that the upwards convection currents of many fan-less heaters create a pool of hot air near the ceiling. But there’s an answer: we took one of the oil-column heaters and did some extra tests using a small desk fan placed on the floor and aimed at the heater. The results were dramatic – the heater raised the average room temperature by 5°C three times faster when we tested it with the fan. These heat distribution charts represent a vertical cross section of our thermal lab with the heat source at the bottom left. The green shades are comfortable temperatures, red is too warm. The oscillating fan heater distributed heat fairly evenly, but the oil-column heater couldn’t break up the layered air temperatures. This shows using a fan-less heater can result in cold feet and a hot head. Fan: A fan is an effective way to break up the layers of cold and warm air in a room. While noisy, you don't have to use them continuously. Just switch them on for a few minutes, to warm up the room. Controls: The controls should be clearly visible, easy to access and easy to use. Markings should be easy to read with good contrast. The more heat settings the better – you'll have more flexibility to control the room temperature. Timer: With a timer, you can warm up a living area before you get up in the morning or arrive home from work. You can also have a bedroom heater turn itself off after you've gone to sleep. Mobility: Oil-filled heaters are heavy and can be difficult to move around because of their size and shape. Try moving the heater around in the shop. There is usually a recessed handle at the control panel end: it should give a good grip. Some models have 4 castors, others a combination of castors and wheels. Some have a single pair of large wheels at one end, so you have to lift the handle end to move the heater. Weight then becomes important. Thermostat: This maintains a desired average room temperature (as long as it's within the heater's capacity), and should have a control that's easy to read and set. Cleaning: Heaters that are largely comprised of flat, uninterrupted surfaces are easiest to clean (panel and convector models topped the cleaning test). Oil-column heaters with nooks and crannies are the most difficult. Tilt switches turn the heater off if it falls over to reduce the risk of fire. They’re not mandatory, but we think they’re essential for any portable heater with a radiant element. All models should have a built-in thermal cutout, to turn the heater off if it overheats. The relatively low surface temperature makes oil-filled heaters safer than most other heater types. But some models have narrow exposed fins that get quite hot. Models with wide flat fins or a casing over the fins, and a protective heat shield at each end are safer. Because they are tall and narrow, column heaters are inherently less stable than other types. They are also heavy. If a model with narrow exposed fins topples onto a small child, it can do quite a lot of harm. Having wide or enclosed fins helps. A tapered shape may help stability. If there are toddlers about, a loop of chain around the top fin tube and attached to a wall could stop a nasty accident if the child tried to pull the heater over. 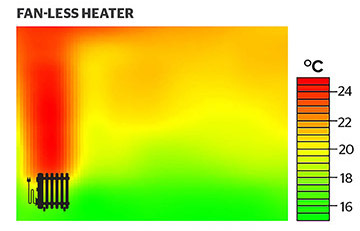 Electric heaters differ markedly in the way they distribute heat. We explain which type is best for each situation. We asked our members about their electric heaters to find out which brand is most reliable.